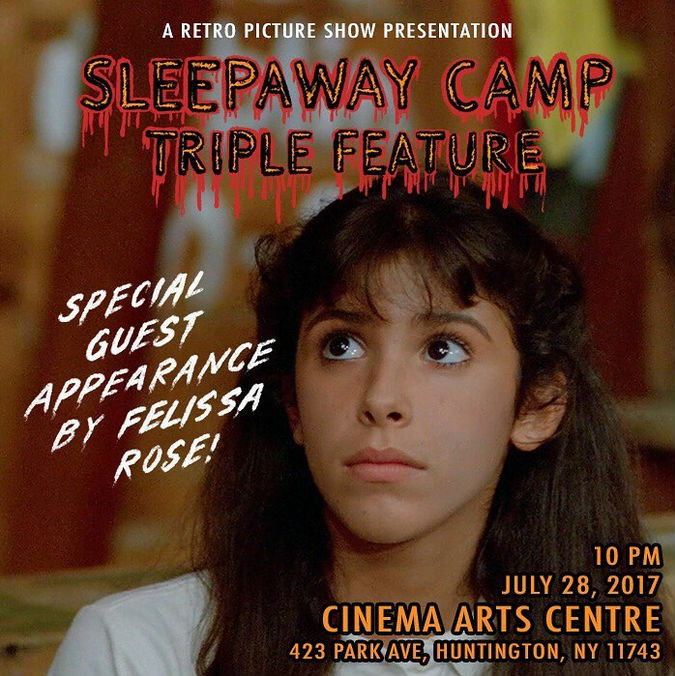 Retro Picture Show presents SLEEPAWAY CAMP, SLEEPAWAY CAMP II: UNHAPPY CAMPERS and SLEEPAWAY CAMP III: TEENAGE WASTELAND, all on 35mm! After a terrible boating accident killed her family, shy Angela Baker went to live with her eccentric Aunt Martha and her cousin Ricky. This summer, Martha decides to send them both to Camp Arawak. Shortly after their arrival, a series of bizarre and violent “accidents” begin to claim the lives of various campers. Has a dark secret returned from the camps past… or will an unspeakable horror end the summer season for all? (US, 1983, 84 min, Dir. Robert Hiltzik, 35mm) - 35mm Print courtesy of the Academy Film Archive.